When looking to move your household elsewhere and perform a sustainable move at the same time you should research only those companies that pride themselves on providing eco-friendly services. While everyone is concerned about how to move house as seamlessly as possible, a few people seem to really care about the welfare of the environment. The fact is that moving house is associated with large amounts of stress, but we seem to overlook the strain we put on the environment throughout the relocation process. As it turns out, some simple, environmentally friendly practices can make all the difference when it comes to relocating. As we all know, moving house is a difficult task, let alone performing a move in an eco-friendly way. Using green, biodegradable materials when packing household belongings is an environmentally-conscious act that should be implemented in any relocation process. Here’s your exhaustive guide to a greener approach when moving and settling into a new home. First off, ask your friends if they have packing supplies that you can reuse instead of purchasing the new ones. Take advantage of eco-friendly packing supplies made from recycled materials. Provided that you’ve started ahead of time with moving preparations, you may compare all available packing options. Also, an early start will allow you enough time to get better understanding of how to reduce a negative impact of your actions during the move. With the right approach, you may be able to observe the entire process from a different perspective. Realizing that you don’t need to move to a new home everything you own is a very first step towards a greener, sustainable move. Let’s be honest – moving house is the perfect opportunity for you to assess your belongings, break your old bad habits and reconsider your actions. Furthermore, consider using already existing items as packing supplies. 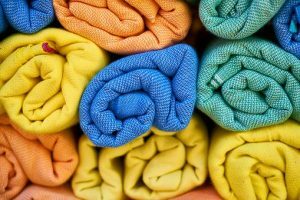 Each household probably has lots of old towels and sheets that can be used as packing and cushioning material. If you’ve ever thought that those old towels may be put to good use one day, well, that day has come! After all, it’s easy to wash them and preserve for the next sustainable move. Also, if you have friends who are moving any time soon, hand them over all your reusable packing supplies. During the weeks leading up to moving day you may figure out the most efficient ways to get rid of your unnecessary belongings. In order to lighten your moving load you may opt for donating, giving away or selling your goods prior to moving day. But, if you are moving unexpectedly with a little time to plan, organizing a garage sale would be a bit more complicated. However, you can always donate your goods to local charities and free up more space in your new home. Rather than throwing items out, you may want to make an extra effort to give your items a new life by donating them to people in need. So, dispose of your old items properly. Learn how to responsibly dispose of potentially hazardous items as well. As it turns out, movers will refuse to transport certain items like car batteries, charcoal, cleaning solvents, fire extinguishers, pesticides, fuel,…After all, moving those dangerous products may put the entire relocation at risk, so, do you really want to take chances? When sorting through your belongings and cleaning out the current home, make sure to gather everything that can be recycled. Whether going through a residential or an office move, it’s very important to minimize waste before and after the move. While furniture in decent condition can be reused, arrange with a recycling company a pick-up of obsolete appliances and electronics. Also, having unpacked your belongings, chances are you will end up with a lot of leftovers. Provided that you’ve used biodegradable materials instead of plastic and reusable packaging supplies you may do less harm to the environment when relocating. For that purpose, people often opt for plastic crates instead of cardboard boxes. Not only are they reusable and eco-friendly, but also they provide additional protection to your goods. Starting afresh provides a unique chance to apply some healthier and sustainable decisions. To that end, you may want to purchase some unique second hand furnishings that fit perfectly in the ambience of your new home. But, if you decide to replace your old appliances with the new ones, make sure to purchase energy-saving products to create a sustainable environment in your new home. Use natural solvents to clean both places. As we all know, common commercial cleaning products can be toxic, not to mention that some of them are allergy and asthma triggers. In order to make your home environment a safer place for your family, you may opt for some homemade, natural cleaning supplies (white vinegar, natural salt, baking soda, borax, lemon, liquid castile soap). While researching local and long-distance movers make, try to focus on those that provide eco-friendly services. Inquire about their environmental credentials and measures they take in order to minimize negative effects on the environment. Make a shortlist of most reputable movers you can request moving quotes from so as to be able to decide which option suits you best. But, before that make sure you clearly understand their contribution to a sustainable move. Are they offering green packing solution? Do they prioritize reusable plastic bins over cardboard moving boxes? Are they offering any helpful guidelines on how to be more environmentally-conscious when moving house? What type of fuel do they use? Have they switched to using a biodiesel fuel in order to reduce emission of carbon monoxide? 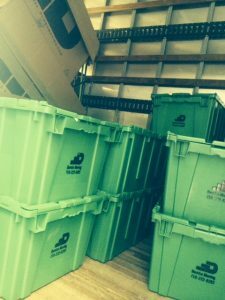 After putting in the extra effort to find reputable movers who will carry out the entire move in an eco-friendly manner, you will be satisfied with the final outcome. 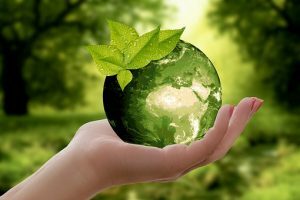 Supporting green initiatives during the household move and sharing your experience via moving reviews will help other people realize that carelessly organized relocation can be detrimental for the environment.